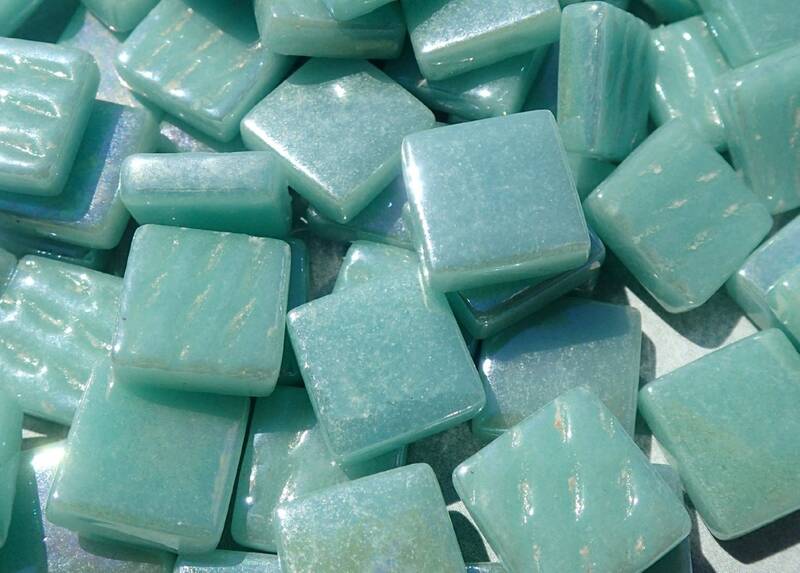 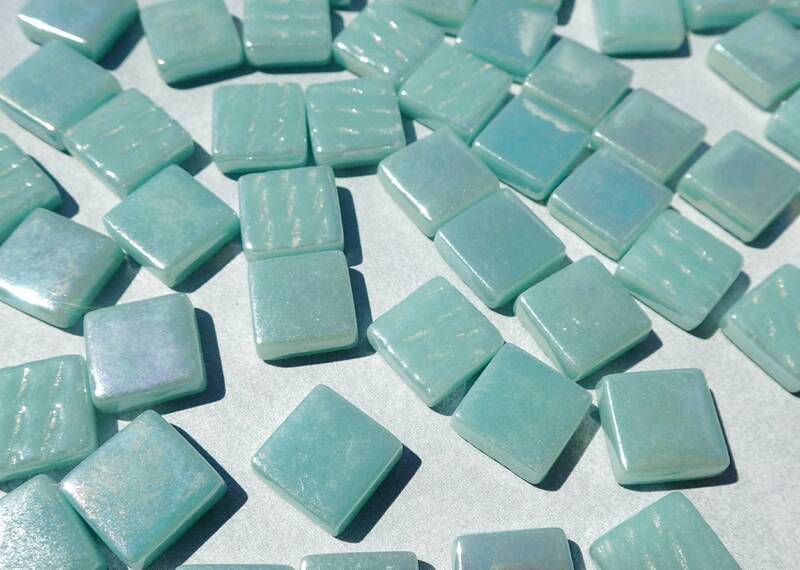 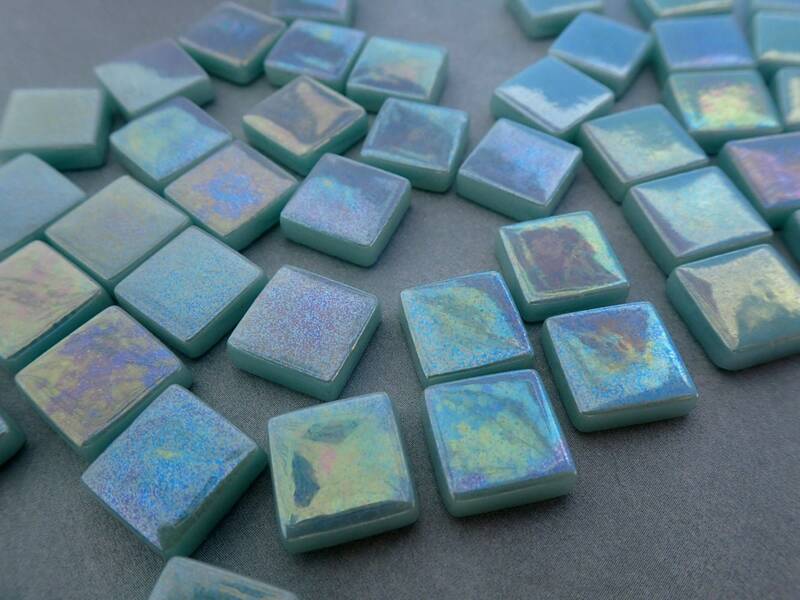 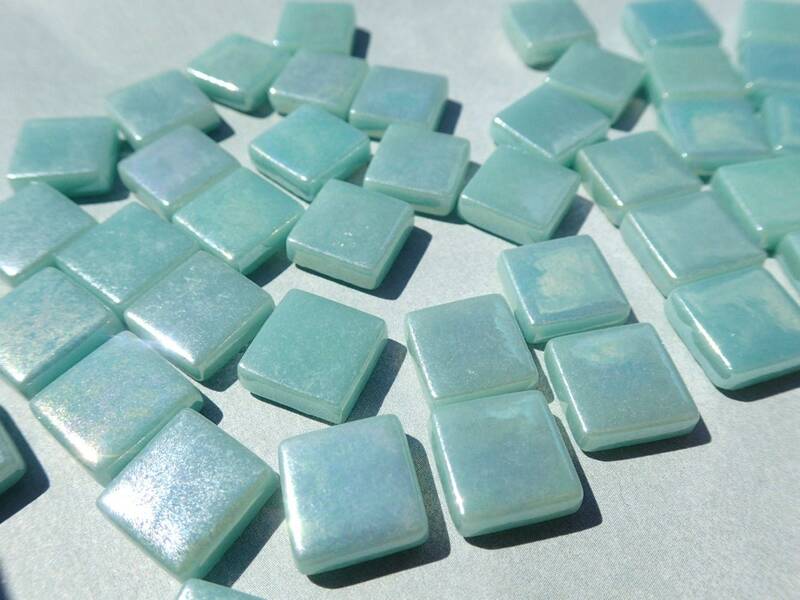 These squares are a pale teal color, and they have an iridescent finish created by dipping the tiles into acid to create a shimmering mother of pearl layer that is permanently bonded to the surface. 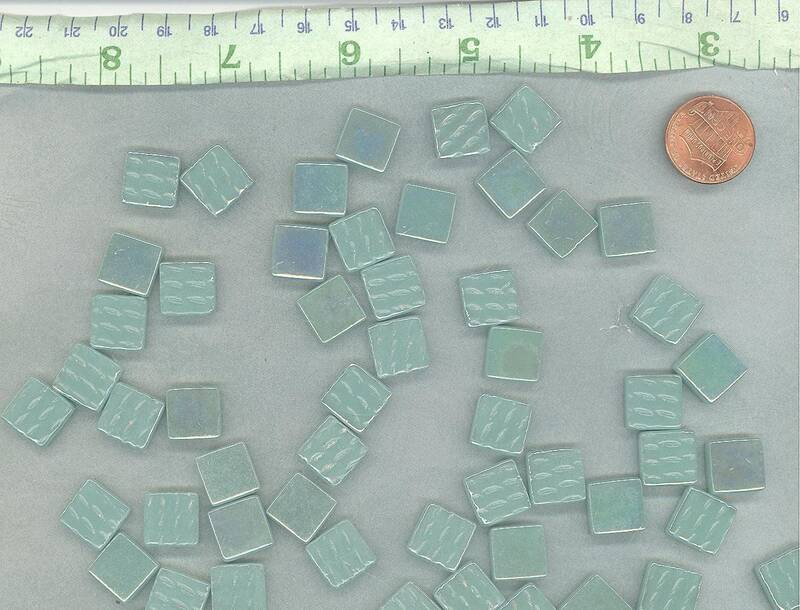 received them today 12.7.18. 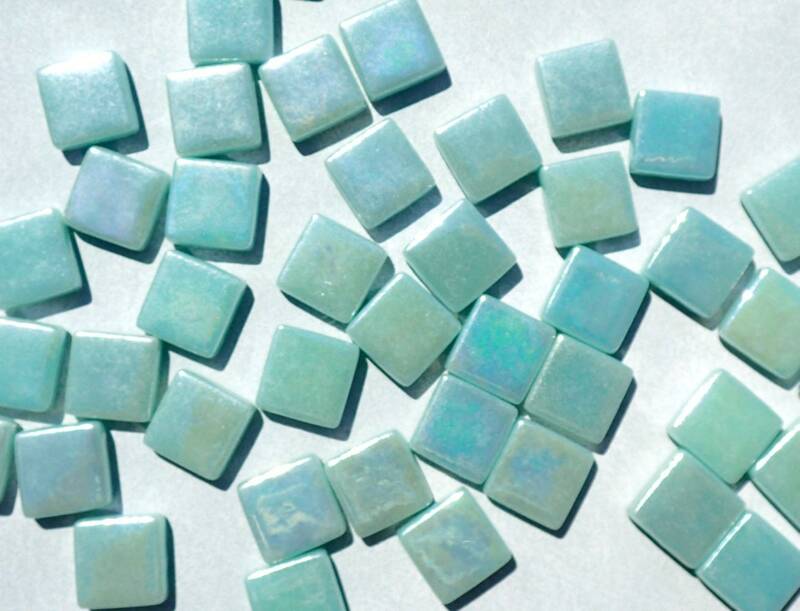 Thank you, they are perfect for my ideas.